With over 100 companies in the space, the email marketing industry is a crowded and competitive field, with companies which offer simple tools that cater to small business, all the way up to complex enterprise-level ones. Currently, the email marketing industry is worth around $5.5 billion worldwide, and it’s expected to grow up to worth $22 billion by 2024. Despite the competitive landscape, Campaign Monitor stands out as one of the leaders in the space. Having over 250 employees distributed in 3 international offices and $250 million raised in venture capital, Campaign Monitor stands out in the industry with its intuitive user experience, high-deliverability rate, and vast functionality. Since February 2017, I’ve helped Campaign Monitor create content that has led hundreds of social shares and dozens of high-quality links from top publications. Campaign Monitor has an extensive blog where they publish popular and actionable content. However, they needed help expanding their content reach, develop new content ideas, and target new keywords. Their target audience is mostly mid-tier marketing managers for retail and other B2C companies. This audience isn’t new to the online marketing world, for that reason, I couldn’t write a beginner’s guide to writing subject line; I had to write intermediate to advanced topics in the subject matter. Here are some of the articles I wrote, and the goals I helped them reach. One of the most important things with which I helped Campaign Monitor is to make their content rank for medium to high-traffic keywords. On a similar extent, the 101 guide on behavioral marketing also ranks in the top 10 for the keyword ‘behavioral marketing,” a keyword with 1,700 monthly searches, and “marketing 101,” a keyword with 3,800 monthly searches. Finally, the guide about behavioral targeting has ranked in the top 20 for the keyword “behavioral targeting,” which has 1,700 monthly searches. While these are just three examples from the over dozen articles I wrote for them, it shows the power of writing content with the goal of exceeding the reader’s expectations while looking to rank for the search engines. Having written over half a dozen of articles that rank in the top 10-20 for a different set of medium to high-traffic keywords, including “behavioral targeting,” “lifecycle marketing,” and “snapchat marketing,” is the result of some of the things I did on the content I developed for Campaign Monitor. One of the possible causes behind the high rankings was that I made the content stand out by making it more thorough, more actionable, and more contextual than the competition. Another aspect that characterizes my work is the fact of using real-life and relevant examples in every article I write. 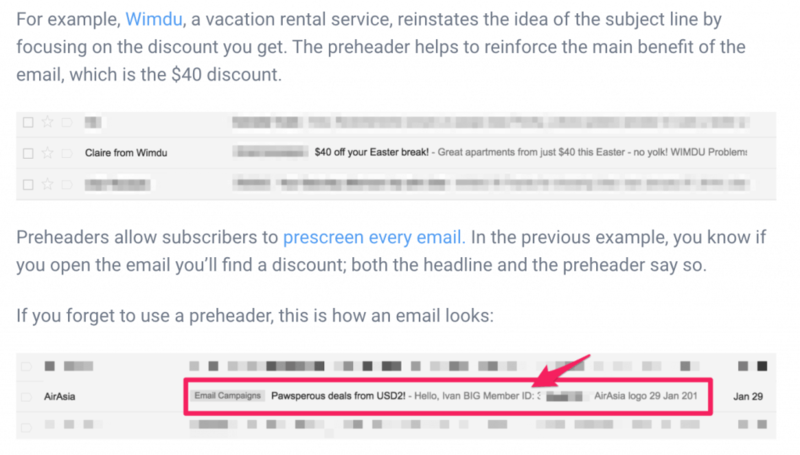 In the article about examples of lifecycle marketing campaigns, I took me 4 hours to analyze all the emails I received from a wide range of companies and how they used them to target me with their offers. I could show more examples of how I made my articles authoritative and useful for the readers, but the same idea applies to every article I wrote. 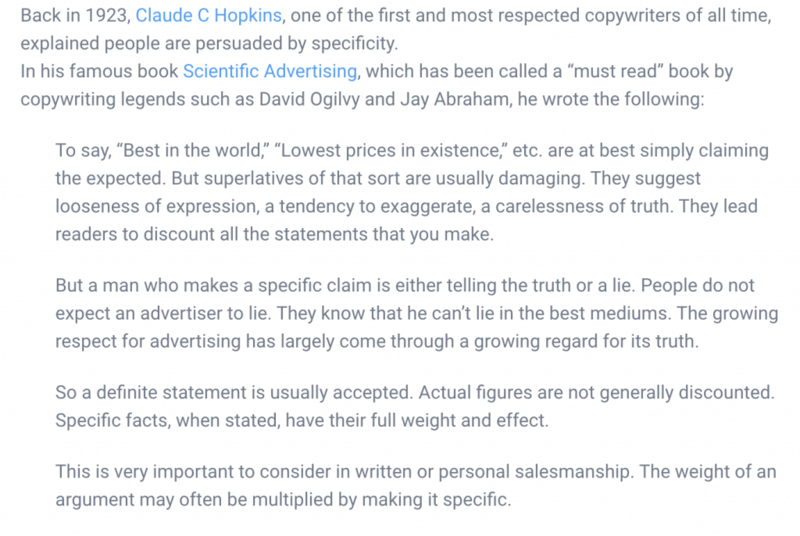 The reason why I put so much effort and emphasis on using examples, quotes, and stats, is because that’s the only way to provide real value to the readers. One of the most important results of driving organic traffic for most of Campaign Monitor’s articles is that it allows them to act as if they are everywhere. By showing up in the top results for different terms is what makes people consider Campaign Monitor an authority in the email marketing industry. Another way I was able to help Campaign Monitor attract considerable traffic and attention in the industry is when I wrote the article about productivity hacks for marketers — one of the most popular articles I’ve published so far. In this article, I implemented an influencer-marketing campaign, where I reached out to influencers like bloggers Ryan Robinson and Tomas Laurinavicius, JD Prater from AdStage, and Twila Liggitt from Instapage. Thanks to this campaign, the article got links from sites with a Domain Rating of 83, 77, and 74, among others, which allows the article to increase its authority in the search engine results and rank for high-traffic keywords. The article also got 875 social shares, according to Buzzsumo. Campaign Monitor stands out as one of my favorite and most successful clients with whom I worked so far. While I can’t share specific numbers due to contractual reasons, I was able to help attract considerable traffic to Campaign Monitor’s site, drive awareness to their site, and allow them to position themselves as an authority in the email marketing space. With all the clients with whom I work the focus is the same: create the best content in their industry and make them catch their audience’s attention, build long-term authority, and drive more traffic to their site. If you want similar results to your site, contact me and let’s get started working together.